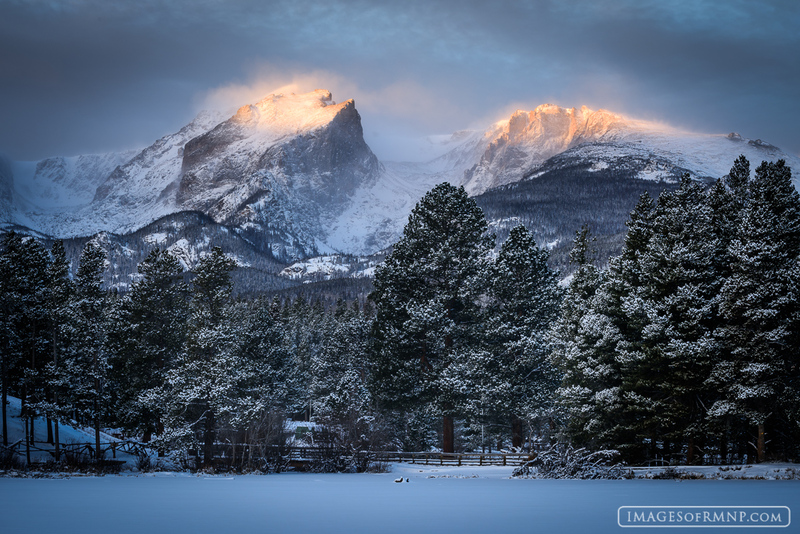 On a quiet winter's morning Hallett Peak and Flattop Mountain glow in the day's first light. The blowing snow on the high peaks adds a gentleness to them that makes them feel almost magical. It is a gift of beauty for those willing to brave the early morning cold to see it. Photo © copyright by Erik Stensland.